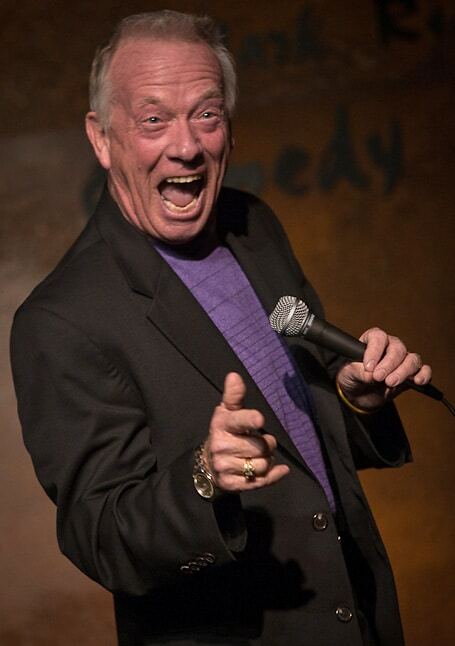 Norm Stulz started his professional comedy life at Mark Ridley’s Comedy Castle in Detroit back in 1981 and has gone on to become the industry’s premier comic story teller. Norm developed his love for laughter at an early age. It was in a 2nd grade auditorium class when at seven years of age created a two person comedy spot and with the aid of a willing classmate performed the three minute skit. The moment the laughter first hit his ears, Norm knew he was hooked on this sensation for life. Throughout his middle school years Norm performed comedy routines for classmates, teachers, and parents. Never a class clown, the student who would disrupt the classroom just for attention or a laugh, Norm was the class comedian, using timing and wit to embellish a point, drawing smiles and laughter from the student body and the instructor at the same time. Through high school performing in concert, marching, and jazz band, along with lead vocals for garage bands, Norm developed a love of music and performing songs. All through college Norm sang at bars and pubs for fun and very little profit. It was in a lounge setting that Norm told the first of what was to be thousands of stories from the stage. In between songs, as a break from singing, he began to relate the happenings in and around his life. The laughter soon prompted more and more stories and fewer and fewer songs. It was after one such performance that a young couple suggested he step onto the professional comedy stage at Mark Ridley’s Comedy Castle in Detroit. After years of audiences requesting more material than a club setting would allow, and fans asking for specific comedy pieces show after show year after year, an evening at the theatre was the next logical step. Every performance is a glimpse into Norm’s life, it’s all about laughter. Norm has been seen on H.B.O., Comedy Central, Showtime, and comedy specials on N.B.C and A.B.C. television. Norm’s comedy material can be heard on The Bob and Tom Show, Johnny Burke and the Morning Crew, and XM Comedy radio. Norm’s storytelling style has made him one of the top shows in the country.